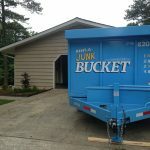 When you’re doing a big project at home — whether it’s a full clean out, the removal of a mass of junk or a construction project that produces a lot of waste material — it’s a good idea to consider dumpster rentals. As you’ve been out and about in the area, you’ve probably seen dumpsters at construction sites and next to homes that are undergoing remodeling projects. Having a dumpster on site makes everything easier, and often eliminates some steps that homeowners and others would otherwise make in the process. The problem is that it’s not always obvious who to call when you need a dumpster on site for a project you’re working on. You can ask around, but no one is going to be able to tell you what your specific solution should be; they can only recommend what’s worked for them in the past. So, who can you trust to call when you need dumpster rental? At Stand Up Guys, we like to do things a little differently, and a little better. That’s why we call our dumpsters “junk buckets.” Doesn’t that just sound more fun? 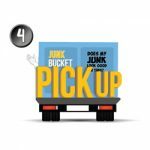 When you rent a junk bucket from Stand Up Guys, you can clean out junk and debris from your space before a move or at other times when you need unique disposal solutions. 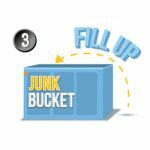 Everything from broken furniture to appliances and electronics (and anything in between) can go in the junk bucket. Stuff you don’t want or need simply goes in, and then the whole thing is hauled away so you don’t have to worry about recycling or proper disposal. 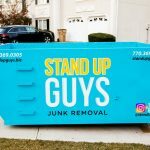 When you rent a junk bucket from Stand Up Guys, you know you’re engaging in the best solution for getting rid of your junk and debris. And getting set up for a rental is easy! 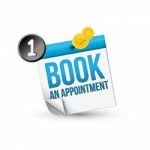 You can go online and use our website to get set up, or you can call us directly to schedule a time that works for you and your schedule. 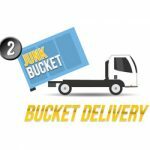 Does it sound like the junk bucket is the ideal solution for your junk removal needs? We can’t wait to help you! Just give us a call at (615) 647-0634 or (770) 369-0305 and learn how you can get started with your dumpster rental today! 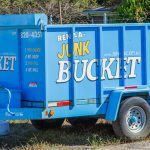 PreviousHelp the Home Remodeling Process with a Junk Bucket	NextThe Best Commercial Dumpster Rental Around!